Rightly said, music relates to one's mind as much as exercise relates to the body. Today's generation of songs may bore listeners after a week of their production whereas some songs have been soothing the ears of music lovers for several decades. There have been many prolific lyricist and music directors who have been able to captivate the music lovers each passing day and the duo "Laxmikant Pyarelal" have been one amongst them. The duo "Laxmikant Pyarelal" were popular Indian music composers who gave many musical hits starting right from mid 60's. The start of this New Year was indeed a delight for music lovers and fans of Laxmikant Pyarelal Ji. 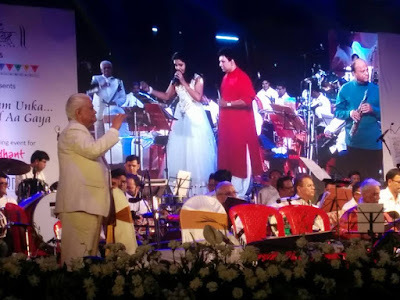 Saturday, 16 June 2016 Kashinath Ghanekar Natyagruha (Thane) witnessed musical evening with the legend himself none other than Pyarelal Sharma Ji. Mahotsav Entertainment presented this grandiose show which comprised of around 50 musicians and 12 chorus team members. The title of the show being "Hui Shyam Unka . . . Khayal Aa Gaya". 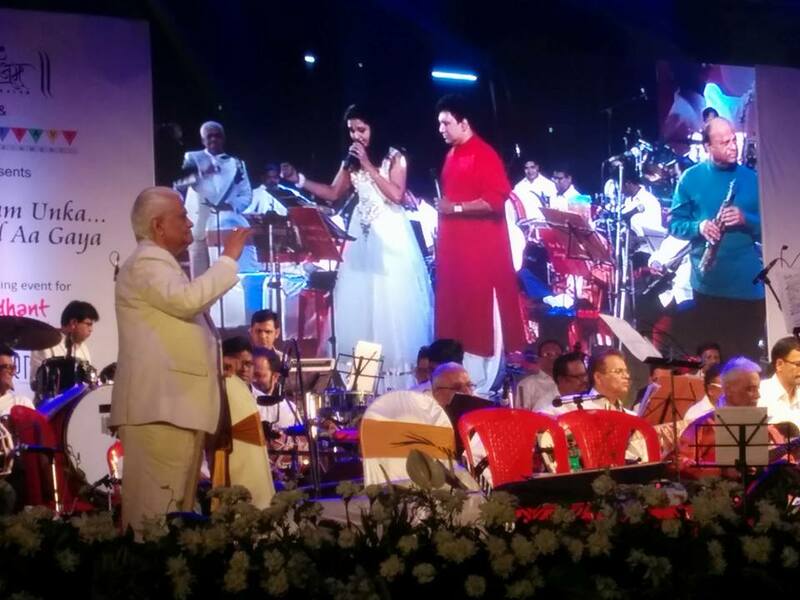 The musical journey of Mohammed Rafi Saab was conducted by Pyarelal Ji and renditions by Mr. Shrikant Narayan. The music lovers were taken trip down memory lane which included immortal hit songs of Rafi Saab right from the 1964 movie "Dosti" way uptill "Karz" (1980) . The show was indeed a benchmark of success coupled with overwhelming response. To sum it up, "Where words fail music speaks".